Every year we take a long weekend at Center Parcs in Sherwood Family with my husbands family and their friends. It’s a weekend that I genuinely look forward to, an escape from London and a break from the norm, as well as being able to spend quality time with the family. Center Parcs has a way of cocooning you and wrapping you up in its bubble. We booked our visit when we were there last year and are staying in the same group of chalets. So we’ve has this trip in the diary for nearly a year and we are only 3 weeks away from our next visit and I’m already getting excited about it and planning our trip, booking activities and thinking about what food to take with us. It’s an escapism from every day life. Everything you need is available and there’s no need to leave the resort. When I’m there I genuinely forget about work and the other daily stresses of life, and I come home from Center Parcs feeling refreshed. The first weekend of November is the start of the Christmas theme. This means lights, glitter, fake snow, fireworks and Santa on a boat, creating a truly festive feel. This weekend starts the run-up to Christmas for me, and puts me in the festive mood. The chalets have everything you need, and are cosy and warm, making it the perfect place to relax with family and friends. We are staying in an Executive Lodge chalet which also has a sauna, an ideal way to relax in the evening and sweat out any bad toxins from the night before. We will be there with all of my husbands family, and a lot of their friends. It’s really nice to spend time with them without having travel up and down the country. We’re all staying in separate chalets in close proximity to each other, but we’ve all got our space and not on top of each other. The Aqua Sana really is a nice way to relax. Two years ago my husband and I enjoy the World of Senses treatment where you get to experience all the different jacuzzi’s and saunas from around the world. It was such a nice thing to do, as well as being able to swim in their adult only pool, away from the children. This year I hope to either have a massage or a facial, I just need to get it booked. The cabana’s around the pool are excellent, creating a perfect base for the family to relax. We hired one last year at about £70 for 3 hours. This may seem like a lot of money, but it means avoiding the overwhelming and busy changing room with children. 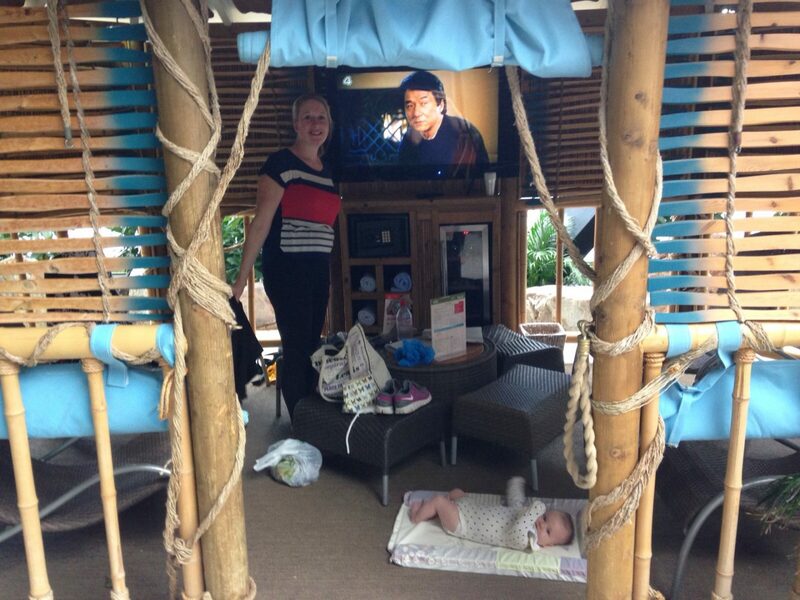 Last year our little one was only 3-months old and I was breastfeeding, so having a cabana was perfect as it meant I could relax, and my husband and I could take it in turns to look after her whilst we swam. There are really long walks and bike rides that you can take around the resort without having to worry about cars driving past. Last year we took long walks with the pram to allow our daughter to sleep. This year we’ve hired bikes and a trailer to tow our daughter around the park. It’ll be interesting to see how she gets on with that, I hope she likes it. There is wildlife on your doorstep. On most visits we’ve had swans, ducks, moor hens and squirrels on our patio. The wildlife is so tame and used to people that the swans and ducks tap on your patio window begging for food. There are plenty of places to eat on site, as well as the Parc Market which stocks everything you need. It’s slightly pricier than your average supermarket, but not overly expensive. All the chalets have their own kitchen perfect for self-catering and bringing your own food. Between us we tend to bring one ready prepared meal each to feed the chalet, and having this prepared in advance makes the stay so much easier. It’s a holiday within the UK. All that is needed is to pack up the car and go. We literally take everything with us from the buggy to baby toys, this year we are trying to get our hands on a micro mini scooter for our daughter which I think she will really enjoy using whilst we are there. There are activities for everyone, and are really suited to our family. Our nieces enjoy going to the disco, bowling, horse-riding and the adventure playground. Whilst the adults always play table tennis, badminton, tennis and archery. Last year we didn’t do much apart from the pool as we had a 3-month in tow, however this year I’m hoping to be able to do a bit more. Lastly we always go to the Starbucks in the Jardin De Sports, which is a bit of a Center Parcs tradition for us. Seeing as it is so close to Christmas I will treat myself to a Gingerbread Hot Chocolate in a red cup. That’s my list containing why I’m looking forward to going to Center Parcs in a few weeks. Watch out for my upcoming blog post about our trip and pictures on Instagram. Oh I adore Center Parcs too! Although never stayed in the executive lodges – they sound swish! And kind of jealous you are going at Christmas time, I think I would love that. We don’t tend to many activities when we go but it’s just so relaxing and easy and it really is a bubble like you say. Have a wonderful time!!! 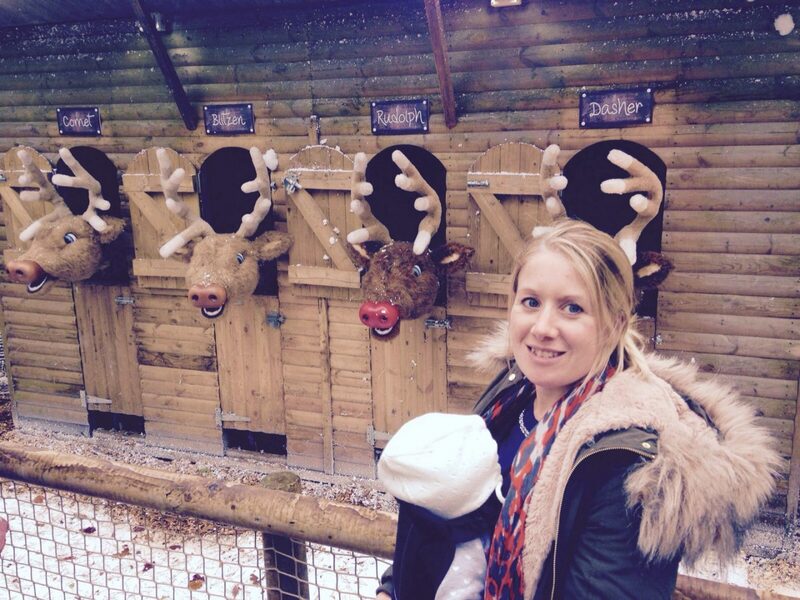 We went to Woburn Forest Centerparcs last year and loved it. We’re going to Whinfell forest the week after next for the half term hols. I agree, you switch off and relax. The daily pace of life just seems to slow down. Slightly jealous you’re going when the Christmas theme has started though. Have fun. We have a similar holiday booked early in November, it’s so magical especially now we have little ones! thetaleofmummyhood recently posted…Stocking Fillers with Snapfish! 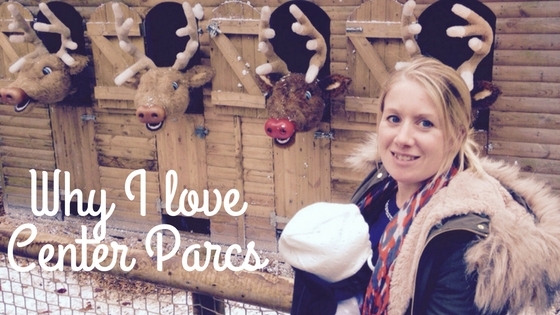 We love centre parcs too. I would love to go when they had their christmas theme. Their chalets are always so comfortable. We went to the Longleat one is the summer and it was brilliant. The girls went to the kids club a couple of times and they did some really cool stuff. looks like a fun little holiday spot! Very thorough and well-penned post. Kudos. We haven’t done center pacs yet they do have centres in France, we’ll have to check them out while we’re here. It’s sounds like you have everything you need – have lots and lots of fun! And I’ll be looking out for the blog! Oh it sounds like you’re going to have an amazing time! I’d love to go centre Parcs but it always works out so expensive for us!